I can make Homemade Slider Buns. So what am I waiting for? And just like that I had pulled the 6 ingredients from the fridge and pantry and was on my way. This Homemade Slider Bun recipe is an Eat Out of the Fridge/Pantry Recipe. And out of necessity (freezer and pantry doors are bulging), I made two fantastic slider recipes. Korean Pork & Kimchi Sliders and Buffalo Shrimp Sliders with Cool Ranch Sauce coming soon. 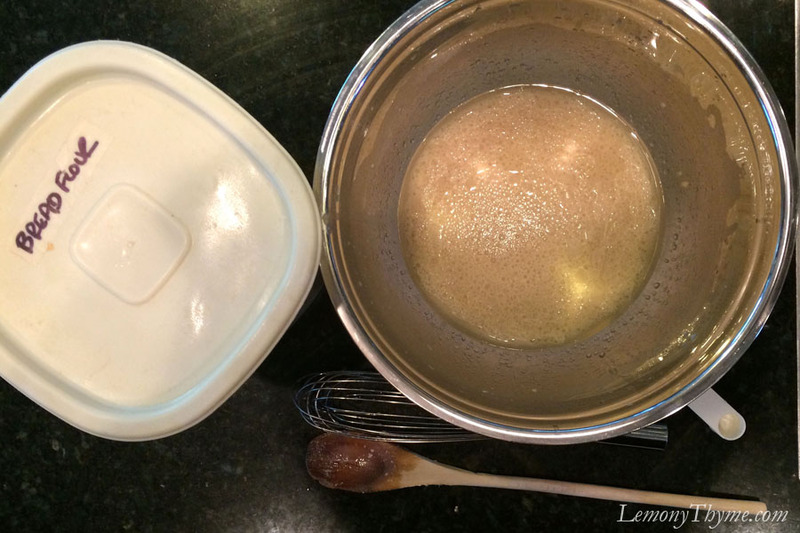 In a large bowl dissolve yeast in warm water. Whisk in vegetable oil and sugar. Allow to rest for 5-minutes. Add the egg, salt and enough flour to form a soft dough (I used about 3¼ cups). Turn out onto a well floured surface and knead for 3-5 minutes until smooth and elastic. Divide into 2 balls; then cut each into 8 smaller balls. Do not allow to rise. Place 3-inches apart on parchment lined baking sheets, cover and allow to rest for 10 minutes. Sprinkle tops with sesame or poppy seeds, optional. Bake for 8-10 minutes or until golden brown. Cool on wire racks. You’re the best Beverley. We’ve had so much fun making homemade ‘everything.’ After turning these buns into multiple recipes….we’re hooked.